County Galway embodies the traditional, slightly wild beauty many visitors look for when they come to Ireland. Vast green expanses of the Connemara region with remote Irish-speaking villages aplenty in the region. This, along with beautiful wind-swept coastlines where you see people riding horses bring to life those adverts you see. The Galway city on the other hand is colourful and lively with a wonderful live music scene. Our selection of the best place to stay in County Galway offers something for everyone, whether you're looking for rural retreat or a chic base in town. The region is a great place to experience the old traditions of Ireland - be it language, food or classical Irish sounds. What’s more, the hip student vibe of Galway city encourages a creative mix of the old and new, making this destination one of a kind. The Connermara Peninsula will treat you to an exceptionally dramatic road trip. The winding roads follow the inlets of the coastline, past hidden beaches and through almost hidden villages. If you nip inland you'll see the strange bogs and remote dark coloured lakes. A mysterious landscape for hikers and cyclists alike. Visit the Aran, Inisheer and Inish Oirr Islands just off the coast. These islands bring to you enchanting views in calm, rural surroundings with local cuisine available in the small island pubs. Don’t miss a visit to vibrant Galway city. Here you will find brightly painted pubs with live music and chic cafes and restaurants with front row seats to observe the street buskers and theatre. The city also maintains old medieval town walls, a reminder of the rich history of the region. Visit Galway Bay, a fishing suburb, just out the city to sample the area’s famous Oysters. These are just few of the spectacular sights of County Galway. There’s plenty more to do and experience making it a remarkable destination for the avid traveller. Our list of the best places to stay in County Galway have wide variety of properties to suit your taste for the perfect base. 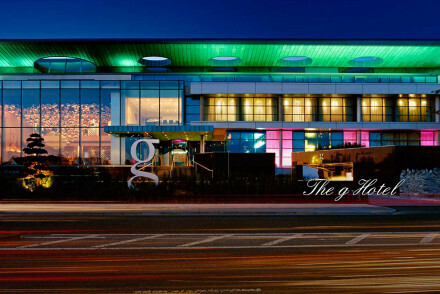 Located just outside Galway, The G offers 5-star luxury in contemporary style. The interiors are carefully designed by Philip Treacy and flaunt brightly coloured spaces, leaving the rooms more calm and restful. A stone’s throw away from Galway’s main attractions. In the heart of the city you will find The House Hotel. 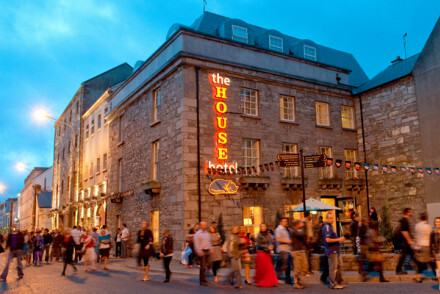 Again, brightly coloured and full of new-age designs, the hotel captures the Galway character without being pretentious. A great choice to experience the city’s nightlife. 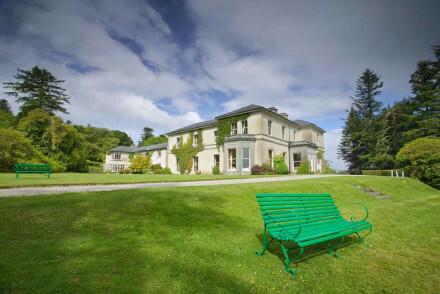 Ross Lake House Hotel is an elegant countryside manor house surrounded by golf courses, coastline and the Connemara National Park. A definite must for those looking for scenic treks or a game of golf. 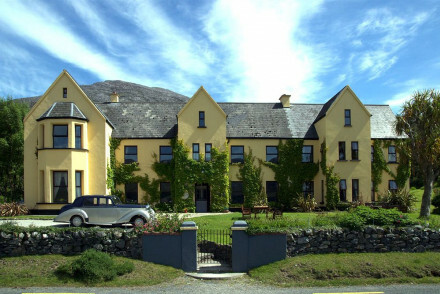 If you’re looking to stay in a more traditional setting, Rosleague Manor in County Galway is the choice for you. Elegant bedrooms feature antique furniture, four poster beds and large bathrooms. Enjoy a cosy evening in the conservatory while being served some of the best Irish seafood dishes. 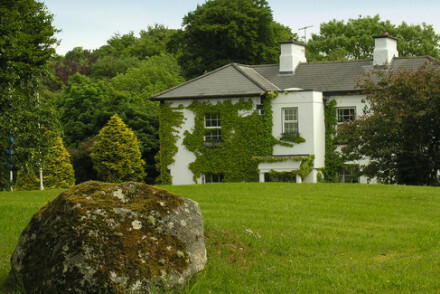 The Lough Inagh Lodge is a cosy country house with great big armchairs and lounges full of books. Also a good option for long walks along the Western Way of the region. To enjoy the picturesque banks of the Lough Corrib, stay at the Currarevagh House. 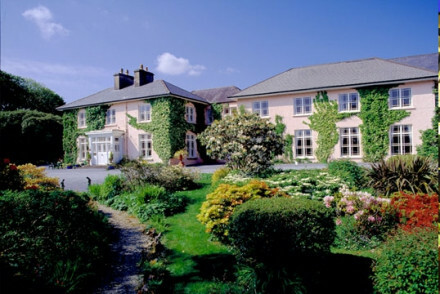 This traditional country house hotel is perfect for a peaceful escape and fly fishing on Lough Corrib. 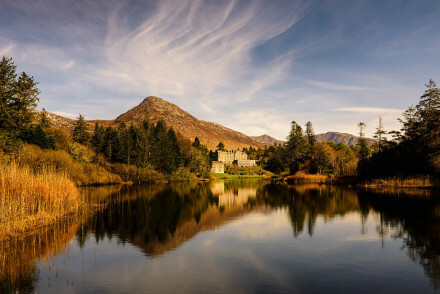 Experience the enchantment of rural Ireland at the Ballynahinch Castle. Close to the Ballynahinch Lake, this castle converted hotel has a warm ambiance and sumptuous locally produced meals. A great place to fish and take long walks on the castle grounds. If you've decided that you'd prefer to book a villa or apartment, we recommend you visit our online booking partner Booking.com, where you'll find a wide range from budget to boutique. Although there are no direct flights to Galway, the city is accessible from Shannon Airport and Ireland West International Airport. For international flights, reach Galway from the main Dublin Airport. Alternately, there are frequent buses that travel to Galway city from the Dublin. The best time to visit the rural parts of the county are between April and October. If you are keen on a more urban experience, Galway city is open all year round for excellent food, drink and cultural pursuits. If you decide to hire a car, we recommend you visit our online partner Rentalcars for the best price. Check out our selection of the best places to stay in County Galway and start to plan your visit. Extraordinary contemporary five star hotel just outside Galway. Interiors designed by Philip Treacy feature brightly coloured (some might say garish) public spaces, whilst rooms and suites are more restful. Stunning views out to sea, great food & ESPA. All a stone's throw from Galway's attractions. An elegant countryside manor house surrounded by golf courses, coastline and the Connemara National Park. Traditional bedrooms and suites have four poster beds and fireplaces. A great choice for an active holiday in style. Golf - Oughterard Golf Club, Barna Golf club, Galway Bay Golf and Country Club and Ballyconnelly Links Course. Sights nearby - Cliffs of Moher and magical Connemara with its mountains and lakes. Great walks - Connemara National Park with its walks and mountain climbing. Traditional country house. Elegant bedrooms feature antique furniture, four poster beds and large bathrooms. 30 acres of woodland grounds, conservatory and sitting room with fireplace. Great dining with focus on seafood. Cosy country house. Traditional bedrooms have armchairs, great views and floral furnishings. Fireplace and book-filled lounges. Good seafood and wild game dishes from the restaurant and welcoming bar. A charming country house hotel on the picturesque banks of Lough Corrib. Retaining it's traditional feel, the rooms are decorated with period wallpapers and antique furnishings. Perfect for a peaceful countryside escape. A lakeside idyll. Total relaxation - Set in a peaceful, undisturbed natural environment, it's perfect for a relaxing escape. Local exploring - Well located for exploring the vast beauty of Loch Corrib and Connemara. Great walks - Beautiful walking routes in the surrounding 180 acres of woodland. Fishing - The hotel can organise fly fishing on Lough Corrib. Castle hotel with warm and sumptuous ambience. Bedrooms feature four poster beds, creamy furnishings and gorgeous bathrooms. Great restaurant with local, seasonal produce: fresh fish, wild mushrooms, woodcock and cosy pub for an afternoon. Outstanding outdoors activities; the ideal country weekend.